Real Plans makes my life sooo much easier!! I work full time but still want decent meals and an organized way of living. Real Plans helps me accomplish this. I love having my grocery list all ready for me on my phone too. No paper list to remember and needing a pen handy in my purse. Real Plans is SO worth it!! 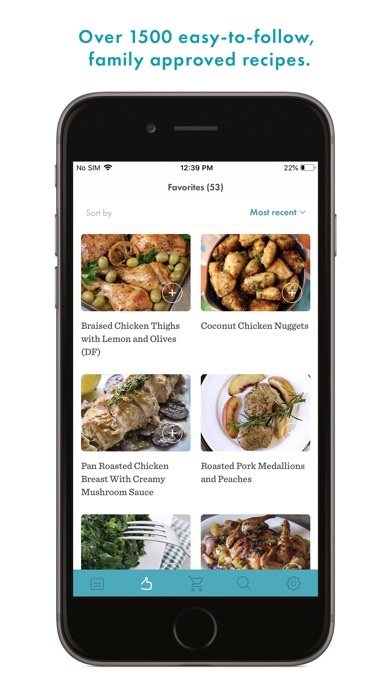 The recipes are delicious and I’m enjoying the app. One thing I don’t like is there isn’t a way to share the recipe. I’ve used this app for a while now and have generally found it really useful for meal planning. 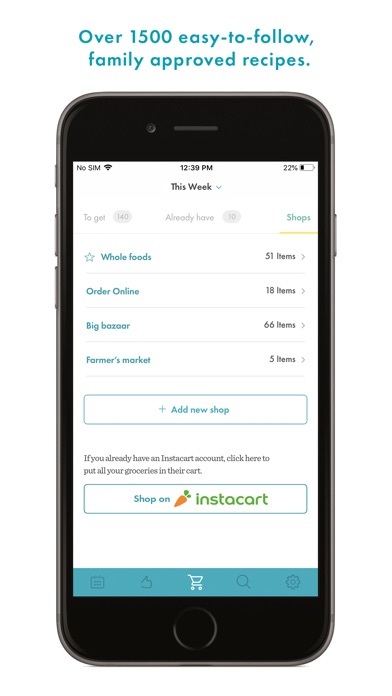 I love the new interface with Instacart as well. That said, the bulk of the changes made in the 2019 update have made the app far more cumbersome to use and are less user friendly. The app has been considerably slower and the layout is less convenient. It is harder to pull recipes from past weeks without searching for them again and it is more difficult to browse through recipes if I don’t know exactly what I’m looking for. I still love the app but wish they would return to the old layout as it was quite a bit easier to use. I signed up with a ten day free trial period for my whole 30 diet. Five days in decided this app wasn’t working for my family so tried to cancel it. Many hoops to jump through, couldn’t do it from the app. Live chatted with an agent and asked her to cancel my account. She said she could help me with that but then proceeded to tell me how I needed to log into the account from a browser and request cancellation from the account page. Ok. Thanks for your “help?” Did that, and then made a time stamped screenshot....just in case. Logged in on Sunday to ensure it was canceled and it said it had been and that I would not be charged again. This morning was about to delete the app but logged in just to make sure it was canceled. To my surprise it wasn’t! Live chatted with another agent who said she was sorry my account cancellation hadn’t been processed when requested, that it would go to the free account after the month subscription was up, and then argued the semantics between account cancellation and refund request. Obviously if I am not going to use a service I want my money back!! I filed a claim with PayPal, hopefully it won’t be too much more of a headache to get a refund. My advice is to hope and pray you actually like this app if you try it, because getting your money back under the free trial period isn’t an easy process. I did not receive assistance when asked. They only assumed. I left a message asking to be called and communication was only over email. False information is given on how to cancel the account. I had attempted to cancel through the app and could not find out how. Chat was not helpful and I was told to cancel through iTunes. This WAS not correct. Not worth the hassle to have this app. There are other apps and websites to get the information provided. Went to sign into the app on the first day of my trial and put in my info and my credit card was charged. Okay. Fine. Put in my Nutritarian guidelines to get a meal plan...and looked at this week’s schedule. Nothing was populated. No recipes. There are recipes that populate the schedule under “Vegetarian”, but remove oils, dairy, and eggs and then...nothing. A waste of five minutes and $13.99. I loved this app when I first got it. It was very user friendly and made my meal planning and shopping so much easier and more efficient. The most recent upgrade to the app is so not user friendly that I’m considering canceling my subscription. I wish Real Plans would issue an “upgrade” that would take the app back to the previous version. This is the most comprehensive and thorough plan I’ve ever tried. 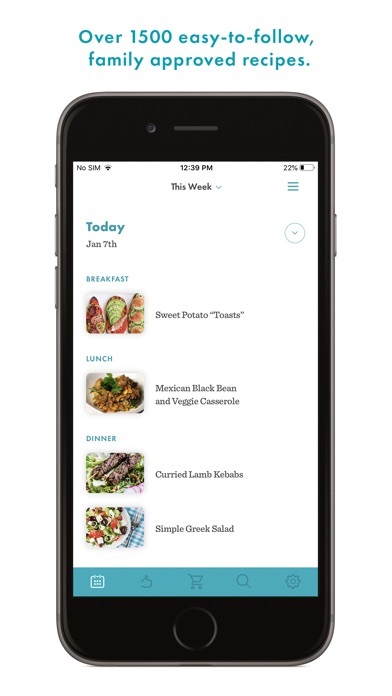 It offers meal plans for every diet preference from omnivores to vegan Keto. I love that counts your calories, gives nutritional information and writes your shopping list. I was worried that the shopping list would get too expensive, but it matched my usual cost, except it’s filled with real foods instead of processed. Love it! I’ve been using this app for some time and loved it but with the new update I can’t add a single ingredient and have it add to my shopping list. The only options it gives me are recipes and notes. Please add the “add ingredient” back.